The TY Danjuma Foundation is happy to offer the TY Danjuma MBA Scholarship for qualified African students studying an MBA in top schools across the world. Launched in 2011, the TY Danjuma MBA Scholarship is intended to provide additional financial support to help African students bridge some of the financial burden attached to taking on MBA programmes, it will not be enough to act as the primary source of funding for these programmes. The TY Danjuma Foundation is inviting applications for MBA Scholarship for African students at the top-10 leading Business Schools in the world. Nationality: Students of all nationalities are eligible to apply for these scholarships. Entrance Requirement: Applicants must have High School and Undergraduate Degree Diploma. English Language Requirement: Applicants should have proficiency in English. All successful African MBA applicants to the top ten Business Schools (as ranked by the Financial Times) are eligible to receive the TY Danjuma MBA Scholarship regardless of domicile. The grant is awarded to successful candidates prior to the annual intake for that Business School. Algeria, Angola, Benin, Botswana, Burkina Faso, Burundi, Cameroon, Cape Verde, Central African Republic, Chad, Comoros, Ivory Coast, Djibouti, Egypt, Equatorial Guinea, Eritrea, Ethiopia, Gabon, Gambia, Ghana, Guinea, Guinea-Bissau, Kenya, Lesotho, Liberia, Libya, Madagascar, Malawi, Mali, Mauritania, Mauritius, Morocco, Mozambique, Namibia, Niger, Nigeria, Republic of the Congo, Rwanda, Sao Tome and Principe, Senegal, Seychelles, Sierra Leone, Somalia, South Africa, Sudan, Swaziland, Tanzania, Togo, Tunisia, Uganda, Western Sahara, Zambia and Zimbabwe. University of California at Berkeley: Haas. Copy of your budget and funding shortfall (include all scholarship and loans information). Note, the TY Danjuma MBA Scholarship is to help support by providing additional financial aid, it will not be enough to act as the primary source of funding for the MBA. The application deadline is July 31, 2018. Applications received prior to 1 May 2018 or after 31 July 2018 will not be processed. 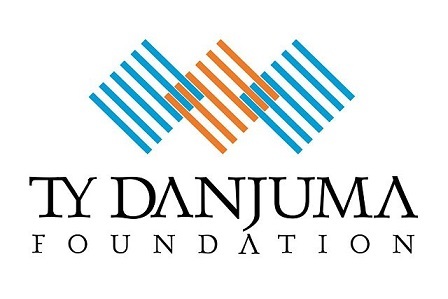 In December 2008, the TY Danjuma Foundation was created in Nigeria. The foundation’s principal aims are to provide durable advantages through the implementation of development programs. For Danjuma, the idea of setting up a foundation came when he turned 70, after he had done some research and discovered that the concept of foundations dated back to the Ottoman Empire, when wealthy individuals set up philanthropic organisations to give back to the community.